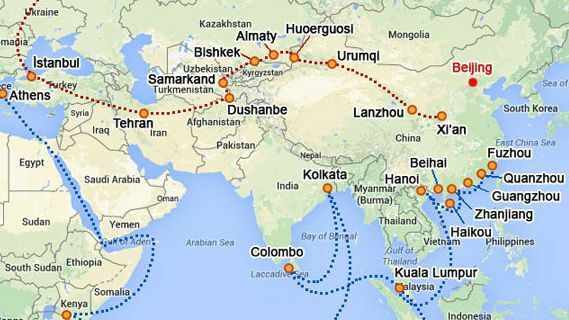 Investors journeying along Belt and Road Initiative (BRI) countries will be wary of the operational, political and legal risks that come along on the route. To mitigate these risks, aside from the usual prudent contracting and investment structuring, investors should also be aware of their rights under the web of investment treaties which cover the route. However, knowing about the existence of investment treaties is only the first step. Investors should familiarise themselves with the particular dimensions of substantive rights as expressed in the various Chinese Bilateral Investment Treaties (BITs) and Multilateral Investment Treaties (MITs). As at the time of writing, 61 BITs exist between China and BRI nations as well as several MITs. Of these BIT-contracting states, 49 are parties to the Convention on the Settlement of Investment Disputes between States and Nationals of Other States (Washington Convention), which provides for enforcement of arbitration awards. While these treaties and the Washington Convention provide a robust source of potential investor protections, they must be understood and carefully planned for by BRI investors. There remain key differences between BITs with BRI countries. In this article, we detail some of these differences and some of the key considerations for making BRI investments. Why do investment treaties matter ? BITs are international law instruments agreed between two states. MITs are treaties agreed between more than two states. BITs and MITs trace their history back to the post-Second World War era, originally created by developed countries to protect their investments in developing countries. Modern BITs and MITs aim to create a stable legal environment that fosters direct foreign investment. This is achieved by the “host state” (i.e. the state in which the investment is made) agreeing to provide certain guarantees and standards of protection to the investments of private foreign investors (i.e. those with the nationality of, or where they are a corporation the place of incorporation in, the “home state”). A major innovation was introduced into investment treaties in the mid-1960s : arbitration mechanisms which give investors an effective remedy against unlawful actions of the host state, known as Investor State Dispute Settlement (ISDS). With the inclusion of ISDS mechanisms in investment treaties, corporate and individual investors can bring claims against governments for breaches of the substantive investor rights set out in those treaties. The ISDS process is independent from domestic legal systems, which means that BIT and MIT protections are a crucial bulwark against political and legal risks that BRI investors are likely to face in some of the high risk jurisdictions amongst the BRI countries. Importantly, investor rights and remedies through ISDS are often in excess of those that a BRI investor will enjoy under their BRI contract. Notably, the usual dispute resolution method under Chinese investment treaties, arbitration submitted to the International Centre for Settlement of Investment Disputes (ICSID), allows investors to rely on simplified enforcement mechanisms under the Washington Convention. Host states that are party to the Washington Convention are required to enforce arbitral awards made under that Convention, making enforcement of awards an obligation under international law. While voluntary compliance with the Washington Convention is the norm rather than the rule, concerns surrounding reputation and creditworthiness are likely to continue to encourage government compliance with enforcement, particularly where the investments are made against a backdrop of a myriad of geo-political intricacies amongst BRI countries. “umbrella clauses”. These clauses may incorporate contracts entered into between a host state and investors as BIT obligations. Whilst China began its negotiation process for investment treaties in 1982, its treaty-making practice has varied over time and with its rise in economic power. While Chinese BITs generally contain all of the substantive protections outlined above, many of the earlier Chinese BITs entered into between the 1980s and the mid-1990s do not allow for umbrella clauses. Examples of BRI contracting states which have entered into such BITs are Indonesia, Laos, the Philippines, Saudi Arabia and Vietnam. Consistent with China’s earlier conservative approach, a further obstacle is posed by the limited scope of ISDS provisions in these treaties, as they only permit disputes relating to the compensation amount for expropriation. These treaties were concluded at a time when China was mainly acting as the host state, i.e. the recipient of foreign investments. By contrast, China’s more recent BITs, especially those concluded post-2000s, have a different approach to investment protection and host state interests. BITs with BRI contracting states like Bosnia and Herzegovina, Iran, Myanmar, South Africa and Uzbekistan not only incorporate umbrella clauses but allow for ISDS in relation to any dispute relating to the investment. This shift in practice reflects China’s interest in protecting its own investors abroad. Given the increase in Chinese outbound investments and developments along the BRI countries, China may in the future renegotiate its earlier generation BITs to incorporate more liberal standards and to align with its policy orientation as exemplified in its more recent BITs. To minimise risk exposure, investors should therefore carefully check the BITs and MITs between China and the BRI country where an investment is being made and their specific provisions. Investors should also check whether there are any treaties that are still in force and verify the BRI country’s history in dealing with ISDS claims. How to make use of investment treaties ? The most important first hurdle for an investor seeking to make use of an investment treaty is to make sure that their investment falls within the definition of “investment” under a particular investment treaty. As of 2015, 32% of all ICSID arbitrations failed at the jurisdiction stage, as claimants did not qualify as an “investment” or being an “investor” under the relevant investment treaties. regularity of profit and return. Chinese BITs tend to adopt the commonly used asset-based definition of “investments” that is broad in scope, meaning that, apart from direct investments, this would include portfolio investments and intangible assets like intellectual property. However, there is often the requirement that such investments have to be made in accordance with the laws and regulations of the host state, which may narrow the scope of “investments”. This can be a challenge for BRI investors navigating through the interface between these multi-levelled requirements when structuring their investments so careful consideration should be given to fitting into the investment definitions before a project is commenced. Investors should structure or restructure their investments to ensure that they qualify for ISDS protections. When structuring investments, investors ought to give similar weight to considerations regarding ISDS and falling within the scope of investment treaty protections, as they do the usual tax, funding and corporate governance considerations. BRI investors should therefore engage professional advisors at an early stage to structure their investments with this in mind, so that if a dispute does arise, they have the potential benefit of these additional protections.